awo inem yemawkewu tarik alegn yemuhayi bakela, andit set kearas lijua gar huna yemeshebet ingida indehonechi indiyasadiruat tileminachewuna on next day lijun tila tefachi, imuhay lijun azilewu indasadegut awukalehu....bizu bizu neger neber ahun min waga alewu. yenatachinin nefis yimarlin. ኦግዚአብሔር ይባርክሕ ፤ ለኛም ከኔሕ ደገኛ እናት በረከታቸው ይድረሰን። ለእግዚአብሔር ለማገልገል መመረጥ ምን ያሕል መታደል ነው??? ሰው ለምነው አብልተው፣ አምላክን ለምነው አዳኑት፡፡ thanks Dani, best as usual ... bereketachew yedereben!! Dani egziabher yabertah yetsadikanu amlak ytebkih!!!
" እርሱ ሀገርን ያለ አንድ ጻድቅ አይተዋትምና!!! " ዲ/ ዘላለም ወሎዬ ነህ እንዴ??????? Do you ever think that we can be good, kind, generous, loving...... without pointing to authority over the sky? The story of the woman is awe inspiring. Did God make this woman what she is, or is she what she is as a human being irrespective of God? To say God made her what she is, takes away from the kindness she earned on her own human effort and struggle. It gives the false sensation that it is only through authority from GOD that one can become as generous and kind as she is. She is the kind person that she is irrespective of any supernatural addition to her effort. This assumption inspires lots of people to believe in the goodness of oneself as a human being. And we can choose to muster that power without any supernatural authority. And we can be good for goodness sake without expecting reward from above or in the hope of avoiding "burning fire" in the afterlife. Please understand how spirituality and day to day life are integrated. When Emhoy Bakel decided to serve God, she has also abandoned by good works. God was the light for her good work. Dear Anonymous, read the bible(John), you will come across a word that says 'you can do nothing without me'. behulum bota degagi yeEgiziabihar agelgayi yisiteni kale hiyiwet yasemaln. Thank you brother Danial . I used to work close to government and I received several discrimination from Tigray people so I have hated them for many years. I thought all Tigray people are rude, nonbeliever and I was very happy when Meles Zenawi and Abune Paulos died. If someone came from Tigray or speak Tighrigna, I feel that person is my enemy. When I read this about Emahoy Bakala, I realized that I have been wrong to take all people in one direction. I know I will never be friend with Tigray people but I learned something. God bless Ethiopia except Tigray. My brother Anonymous February 4, 2014 11:42 pm,as you have already said it, you are so rude.This hatred to a specific ethnic group is evil. Please get help, let your priest pray for you or take you to the Tsebel. Hello my brother/sister the Anonymous person February 5, 2014 at 9:56am. The first Anonymous person told us how discriminated by Tigray people. They are the problem to bring him/her in this situation so you have to blame them instead of him/her. Shame on you, you have to get help from priest. Please don’t force people to lie, he/she told us the fact that we struggle in our day to day life. God bless you the first Anonymous person. Wow the 2nd Anonymous person why you take it personal. It is fact; they destroy our church, culture and right. In addition that, you don’t know what kind saturation happened on the first Anonymous person. I have one question, have you been in the court? If not you have to go there to see what Tigray people do on our father, mother, sister and brother then you will give feedback for the first Anonymous person. All Tigray people are not human being they are devil. Thank you Danial for posting this kind comment, we need this kind freedom for our country. It is very educational site without fear. I love you so much both Anonymous person for practicing the real democracy. God bless Ethiopia including Tigray but not Weyana. ደስታየ በዛ!! !በጣም ደስ አለኝ! !ደስታየ ስጋየን አልፎ ወደነፍሴ ሲፈስ ይታወቀኛል!!! ዳኒ፡ ስለደካማ አባቶቻችን ብቻ እየተወራ ስሰማ በትካዜና በሀዘን ተውጨ እኖር ነበር! !አሁን ግን አንተ መስመሩን ከፈትከው! !ጥሩ አያቶች ብቻ ሳይሆን ደጋግ እናትና አባቶችም እንዳሉ በአባ መፍቀሬሰብ ጀምረህ በእማሆይ ባቄላ ደግመኸናልና ሰልስልን…..ጨምር ጨማምር…. 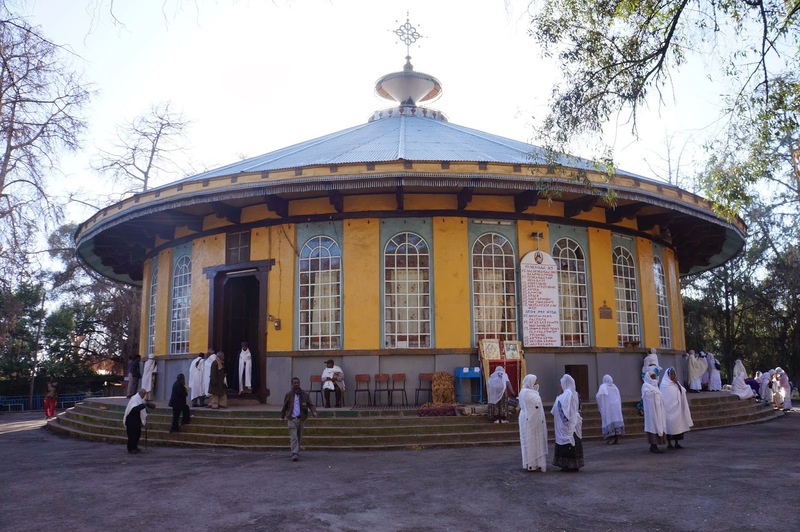 “እስኪ ድግሙ ድግሙ….እስኪ ድግሙ…”. እንዳሉት በፍቅር እስከ መቃብር ያሉት የደብረወርቅ የቅኔ ደቀመዛሙርት!! !እባከህ በየአጸዱ ስር ሆነው ለተርዕዮ ሳይሆን ለበረከት የሚተጉ በየቦታው ያሉ የደጋግ እናቶችንና አባቶችን ያልተጻፈ ገድል ንገረን!! !ያንጸናል፣እንጽናናለን፣አብነት አርአያ ይሆኑናል፣ክርስትናችን እምነት በስራ የሚገለጽባት እንጅ የተናገሩትን የማይኖሩ ሰዎች ስብስብ ስላለመሆኑዋ ህያው ምስክር ይሆኑናል!! !እና አሁንም ዳኒ ጻፍ!! !አንተም እኛም እንጠቀም!! እንዲል የስንክሳር አርኬ. አንተም በደግነታቸው አርአያ የሆኑ አበውን እና እመውን ህይወት በብእርህ ልሳን ስትተርክልን እኛም በአይነ-መንፈስ ሆነን ደግነታቸውን ለማየት ስንከተልህ የሚገኘው መንፈሳዊ በረከትና አርያነት ብዙ ዋጋ ያለው ነው!! !ይህም ከምግባር ያዳጡ አባቶችን ገበና በማስጣት ከመንፈሰ-ቀሊልነት በሚገኝ ያንባቢ ብዛት ስተው ጥልቀት በሌለውና በማያንጽ የስህተት መንቀስ ቅኝት ለተቃኙት ብሎጎቻችን በጎ ምሳሌ ነው!!!ይበል! !አጽናኑን፣እረኛውን ከመንጋው ለማገናኘት እንዳንተ ያሉ ባለ ሁለት ስለት ጸሀፍት-በመንፈሳዊውም በዘመናዊውም (ሰይፍ ዘክልኤ አፉሁ) ብዙ ማድረግ ይችላሉ!! !ስለዚህ ቀጥልበት!!! “ምእመኑ አባቶቹን እንዳይጠላ እፈራለሁ” እያሉ ትንቢት መናገር ሳይሆን አባቶች ሁሉ አንድ አይነት እንዳልሆኑና የጥቂት ከምግባረ-ሰናይ የወጡ አባቶች ድርጊት መላውን የኦርቶዶክሳዊት ቤ/ክ ጳጳሳትና ካህናት እንደማይወክል መናገር የሁሉሙ ቀናኢ ምእመን ድርሻ መሆኑን አስገንዝብ! !ቁጥር ውስጥ በማይገባ ደሞዝ 40እና 50አመት በእቃቤትነት፣በዐቃቢትነት፣በመክፈልት ጋጋሪነት፣በደዋይነት፣በአጻዌ ሆህትነት፣በአስቀባሪነት፣የሚሰሩ ብዙ ያልተነገረላቸው አባቶች አሉን!! !ታሪካቸው እንዲህ ይነገር!! ዳኒ ሁሌ ታኮራኛለህና በሄድክበት ሁሉ መንገድህን ይጥረግልህ!! Diakon Daniel, Egziabher yibarkih! Dessie Emahoy Bakelan yemayawk yinor yohon??... Egziabher nefsachewn begenet yanurilin! I don't think God let you to left your marriage and make you beggar........this seems TERET TERET......But he answered, “It is written, “‘Man shall not live by bread alone, but by every word that comes from the mouth of God.’”Matthew 4:4 it's better that she preached Gospel (including) Jesus is the only savior. ሰዎች ለምን የማይመለከታቸውን ነገር ያነባሉ?